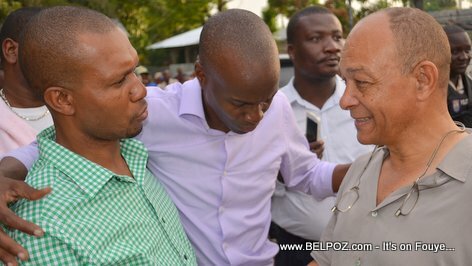 Sa se photo President Jovenel Moise, lè l te nan kanpay, ak ancien delegue departemental George Garnier nan ville Hinche. 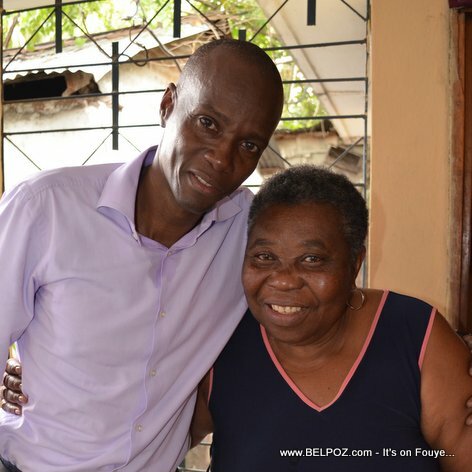 Sa se photo President Jovenel Moise, lè l te nan kanpay, ki tap salye tout timoun yo nan ville Hinche Haiti. 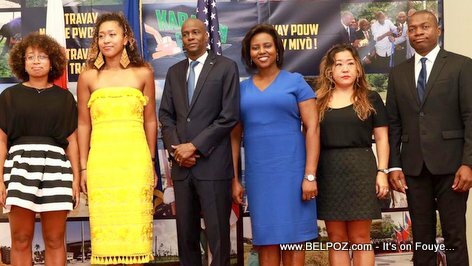 Sa se photo President Jovenel Moise, lè l te nan kanpay, ak yon ansyen Magistra ville Hinche Haiti, Stella Michel, Madame Jean Jiha, yon notab nan vil la. 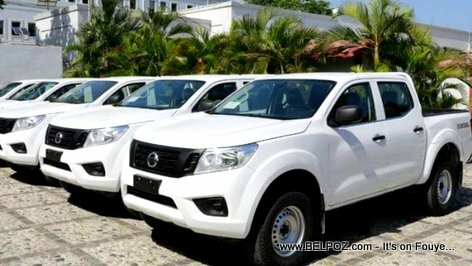 Here is a lot of brand new vehicles, Nissan Frontier, before they were delivers to a group of Haitian city mayors in Haiti by president Jovenel Moise himself. 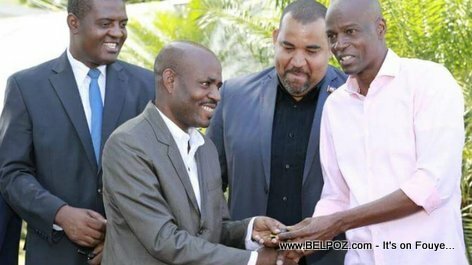 On Friday, April 20, 2018, Haitian president Jovenel Moise delivered a batch of 10 vehicles to representatives of county associations of mayors of the country. "Each city hall will benefit from a vehicle," President Jovenel Moise said while calling on the local elected representatives to be patient, while inviting them to ensure a sound management of the resources of the State at their disposal , to better serve the population and reduce pressure on the big cities. 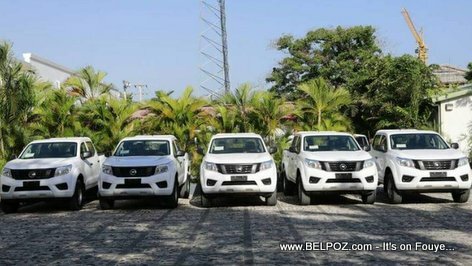 Here is a photo of Haitian president Jovenel Moise hand delivers a kay to a brand new Nissan Frontier to a Haitian city mayor in the presence of the president of the the National Federation of Mayors of Haiti (FENAMH). 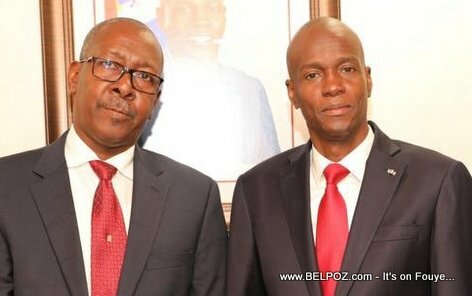 Here is a photo of Haitian president Jovenel Moise and his new Chief of Staff Nahomme Dorvil. Dorvil replaces former Chief of Staff Wilson Laleau at the National Palace. He was installed on Monday, October 22, 2018. 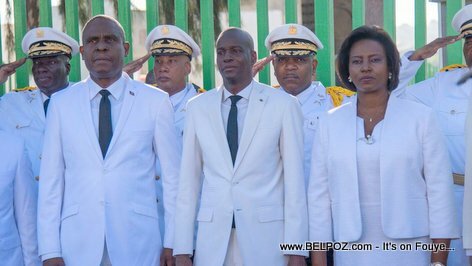 Look at this photo... Haiti President Jovenel Moise, Prime Minister Jean Henry Ceant, and first Lady Martine Moise commemorating the death of emperor Jean-Jacques Dessalines in Pont Rouge - 17 Octobre 2018. Right behind the president is Haiti's police chief Michel-Ange Gedeon. 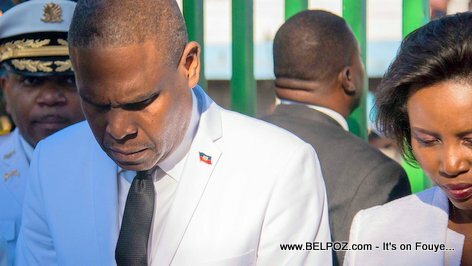 Here is a photo of Haitian prime minister Jean Henry Ceant and first lady Martine Moise commemorating the death of emperor Jean-Jacques Dessalines in Pont Rouge - 17 Octobre 2018.